As we all have seen how RCB didnt even manage to qualify for playoffs when they were highly rated. It is because of poor Playing XI selection and also poor performance of some players. The middle order of RCB was very weak and they had too many openers. So they need to balance batting order this season for which they have already released Q.de kock and Mandeep singh. Marcus Stoinis has joine RCB squad which will strengthen RCB’s middle order. He was regarded as best death bowler for RCB but unexpectedly he was not able to take many wickets and was very expensive which hurted RCB much (Oouch!). 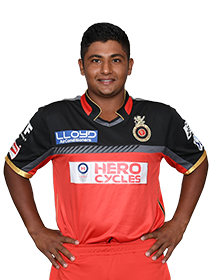 RCB will not retain him this season because he costed a whopping 7.8 cr which does not justifies as per his performance. Also he will not be able to play whole season as he will have to join english camp for World cup preparation. This guy is a savage. RCB spent 3 cr on retaining this fellow. He was poor with batting and was totally disaster in fielding. He missed ever catching opportunities and never made a good throw in fielding. He does not deserve that whopping price and RCB will look to bring in some quality indian player in place of him. He was once regarded to make a permanent spot in indian team (Yeah its true) but his performance in last three seasons of ipl was devastating. His price tag went form 8 cr to 1 cr and this time i dont see him being retained in RCB. Murugan Ashwin was bought for a price of 3 cr by RCB last season but he did not justified that tag. He was not even in playing XI most of the time.Since RCB already has Yuzi Chahal as a leggie, they will not bother to retain Murugan Ashwin in the team. The player of his caliber was not expected to fail miserably in the IPL but he did. He was not consistent so he was not played in later matches keeping him on the bench for more than half of season. He was bought for around 2.8 cr or 3.8 cr ( Lil confused). But he didn’t perform well. RCB will look to release him and buy players like Shimron Hitmeyer ( rising star of Windies), Shai Hope or some allrounders. These mentioned players are the list of players that are likely to be released by RCB in 2019. We often more prepared stay miserable than heading into the unknown. Reversely, your teen will strengthen his/her old habit each and every s/he engages in it. have people buying what you are currently promoting.